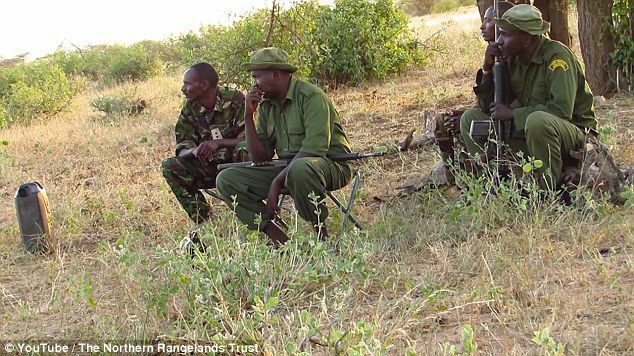 The wildlife rangers in Kenya face difficult challenges each day, from rescuing wildlife to defending animals from poachers. On this particular day, the Sera Wildlife Conservancy community was called in to rescue a baby elephant trapped in a well. But that's not at all where the story ends! The conservancy's Elephant Rescue Team received a report about a baby elephant who had fallen into a well. They arrived on the scene to find a bull calf in need of rescue. After careful work, the Rescue Team freed the elephant, but what to do with him next was in question. 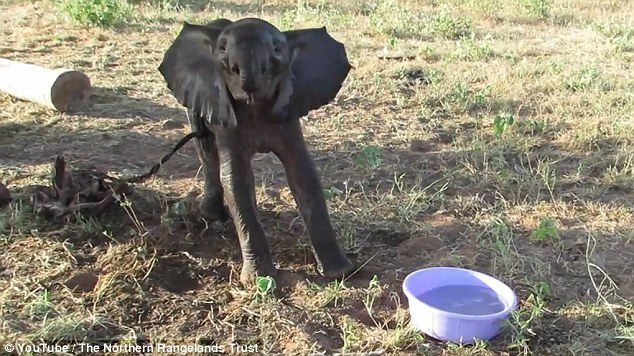 The Rescue Team feared that if they let the baby go, he would hurt himself, fall into another well, or become prey for poachers. The bull calf had already suffered from some small wounds from his fall into the well, and although they were not serious, the rangers wanted to keep an eye on him. 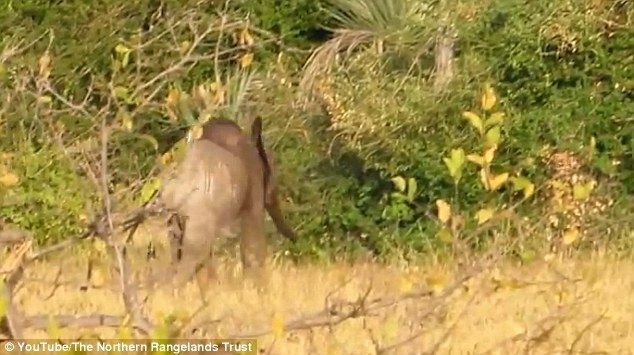 The rangers decided to tie the elephant to a nearby tree where there was shade. They offered the bull calf water from a bowl which he was more than willing to drink out of --- even as the ranger stood near it! 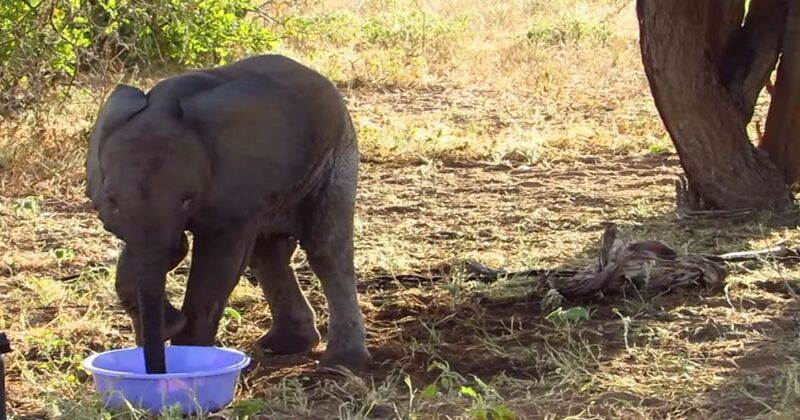 The plan was to wait with the baby elephant and hope that his family would return to him. Evening fell, and still the Rescue Team waited with their newfound friend. They began to think that maybe the family would not return that day. 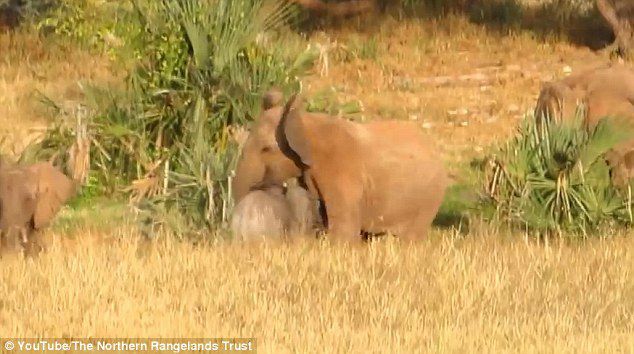 As the rangers started to pack up their gear, they saw the baby elephant perk up his ears and go still. His family had returned! One ranger bravely engaged the baby calf in a game of chase to move him in the direction of his herd. Then the baby heard and saw his mother! He ran to his mom as fast as he could. 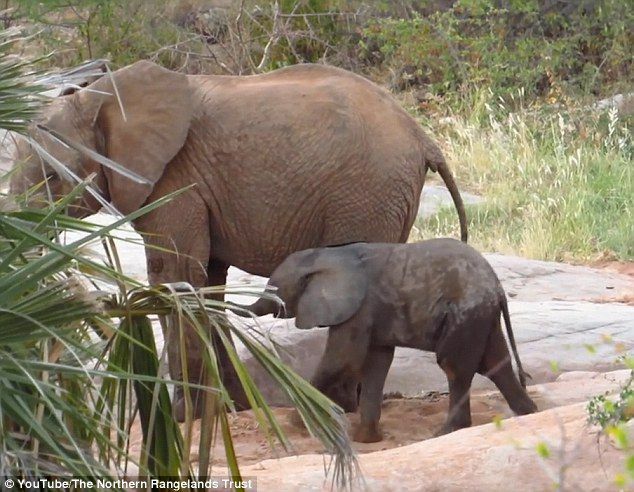 The mother elephant was so overjoyed to see her baby! She flapped her ears in happiness and danced around with her little one. Mom and baby were reunited! Thanks to the compassion and bravery of the Sera Wildlife Conservancy's Elephant Rescue Team, this little guy found his way back to his family. Watch the amazing video below and share this bull calf's heartwarming rescue and reunion with your friends and family on Facebook!